Discover amazing incentives worth up to £22,000*! We’ve been ranked 83 in the Sunday Times BDO Profit Track 100! A fantastic achievement possible through great team work and desire to build beautiful homes. Fantastic to receive Gold for Customer Satisfaction! 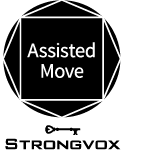 94% of our customers said they would recommend us when In-house Research Ltd carried out surveys with everyone who moved in to a Strongvox home in 2018.
https://www.strongvox.co.uk/wp-content/uploads/2019/03/news/GOLD-2019-(LIGHT).png 1871 1871 Strongvox Editor https://www.strongvox.co.uk/wp-content/uploads/2018/03/strongvox-logo-wt-homes-1771.png Strongvox Editor2019-03-26 13:02:252019-04-01 11:57:45Gold Award! We’ll pay your Estate Agent + legal fees* and help manage your move! Join us at Lockyer’s Field, North Curry on Saturday 23 March to find out more about our Assisted Move Scheme. Join us on Saturday 9 March for the show home launch at Russet Copse, Sandford. Have a look around the popular Helford three bedroom detached and discover amazing incentives worth up to £22,000! Absolutely delighted to be ‘highly commended’ for our Lockyer’s Field development at North Curry, Taunton by the Somerset Building Control Partnership (SBCP) and LABC. 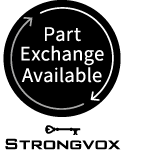 https://www.strongvox.co.uk/wp-content/uploads/2019/02/news/SVX-EXPRESSION-ASSISTMV-30_1-sq.png 1080 1080 Strongvox Editor https://www.strongvox.co.uk/wp-content/uploads/2018/03/strongvox-logo-wt-homes-1771.png Strongvox Editor2019-02-05 09:51:552019-02-05 09:51:55House to sell? We’re delighted to have received detailed planning approval for our new developments in Congresbury and Wedmore, going someway to fulfil housing demands in these villages with our beautifully designed homes. Happy 2019! Is this the year you’ll find your dream home? Or just want to get on the property ladder? https://www.strongvox.co.uk/wp-content/uploads/2018/homepage-sliders/set-1/home-aming-int-8205.jpg 1280 1920 Strongvox Editor https://www.strongvox.co.uk/wp-content/uploads/2018/03/strongvox-logo-wt-homes-1771.png Strongvox Editor2019-01-03 15:13:452019-01-03 15:13:45New Year New Home! Our Sales Offices will be closed for the festive period from 5pm Sunday 23 December until 10am Thursday 3 January 2019. Head Office will be open from 9am Wednesday 2 January 2019. Join us for the Show Apartment Launch at Harbour Court, Sherborne – Saturday 8 December. 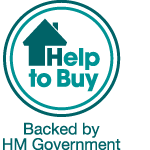 Join us for our Help to Buy Event Saturday 1 December. An Independent Mortgage Broker will be on hand to answer any questions you have about affordability or Help to Buy – it’s not just for first time buyers! Sales Centre open in Sandford! We’re delighted that our Sales Centre is now open at Russet Copse, Sandford! Pop along to see Jess (Thursday-Monday 9am-4pm) to find out more about the spectacular collection of three and four bedroom homes and bungalows. https://www.strongvox.co.uk/wp-content/uploads/2018/03/sandford-site-plan-illustration1-1.jpg 1617 1920 Strongvox Editor https://www.strongvox.co.uk/wp-content/uploads/2018/03/strongvox-logo-wt-homes-1771.png Strongvox Editor2018-10-29 10:44:042018-10-29 10:44:04Sales Centre open in Sandford! So lovely to hear from happy customers at Heritage Mill, Wellington, pleased with our service and their beautiful new Strongvox home. https://www.strongvox.co.uk/wp-content/uploads/2018/10/Happy-Customer-heritage.jpg 1701 2268 Strongvox Editor https://www.strongvox.co.uk/wp-content/uploads/2018/03/strongvox-logo-wt-homes-1771.png Strongvox Editor2018-10-09 20:06:212018-10-10 14:11:15Happy customers! Show home open in Sherborne! 3 bedroom show home now open at Harbour Court, Sherborne! Pop along to see Claire (Thursday-Monday 10am-5pm) to find out more about the luxury one bedroom apartments and three bedroom homes. https://www.strongvox.co.uk/wp-content/uploads/2018/HarbourCourtShowHome/hc-show-4817_web.jpg 1047 1570 Strongvox Editor https://www.strongvox.co.uk/wp-content/uploads/2018/03/strongvox-logo-wt-homes-1771.png Strongvox Editor2018-09-18 12:45:592018-09-18 12:45:59Show home open in Sherborne! Show home open in North Curry! The spectacular 4 bedroom show home is now open at Lockyer’s Field, North Curry! 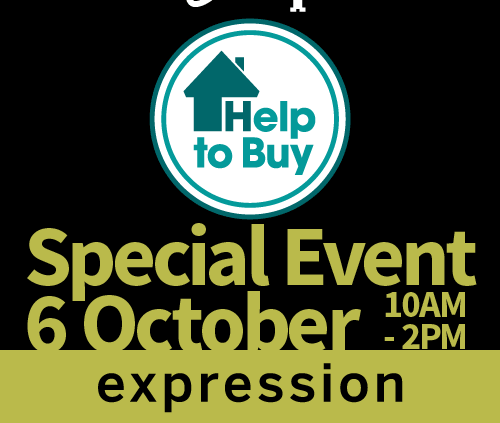 Pop along to see Annie (Thursday-Monday 10am-5pm) to find out more about the wonderful collection of three, four and five bedroom homes. https://www.strongvox.co.uk/wp-content/uploads/2018/09/lockyers-field_1951.jpg 2038 1920 Strongvox Editor https://www.strongvox.co.uk/wp-content/uploads/2018/03/strongvox-logo-wt-homes-1771.png Strongvox Editor2018-09-18 12:32:562018-09-18 12:32:56Show home open in North Curry! First phase of four bedroom homes with double garage and parking now released! See Lockyer’s Field for more information. We’re delighted with the latest statistics received from our Independent Research Company In-House Research Ltd. Thank you to all our happy customers and well done to all the team! A wonderful small development tucked away off Pilton Lane, Pinhoe. Just seven three bedroom detached and link detached homes in Expression phase 2 – now released! We’re delighted that our Sales Office is now open at Harbour Court, Sherborne! Pop along to see Annie (Thursday-Monday 10am-5pm) to find out more about the stunning collection of three bedroom homes and luxury apartments. We sparkled for St Margaret’s Hospice! 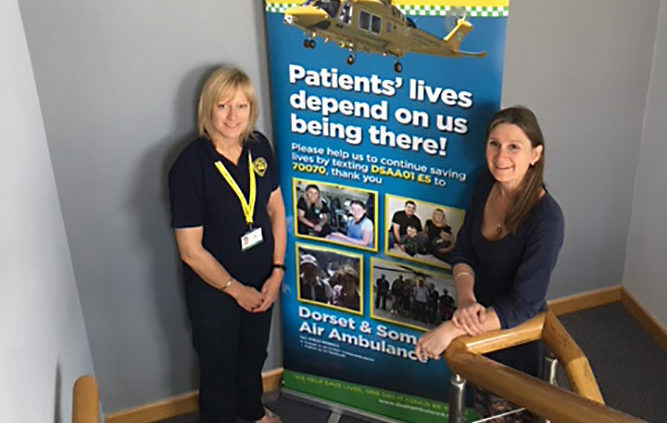 We sparkled all the way for the Glitter Run at Taunton Racecourse on Saturday 16 June and are very proud to have raised £1,000 for St Margaret’s Hospice. https://www.strongvox.co.uk/wp-content/uploads/2018/06/GetImage.jpg 311 626 Strongvox Editor https://www.strongvox.co.uk/wp-content/uploads/2018/03/strongvox-logo-wt-homes-1771.png Strongvox Editor2018-06-20 15:52:352018-06-20 16:13:45We sparkled for St Margaret's Hospice! For the second year running we’ve been recognised in London Stock Exchange Group’s ‘1000 Companies to Inspire Britain’ report. Bidding for 2 Virgin Experience Days. Homes now released in Sherborne! First phase of 3 bedroom homes with garage and parking now released! 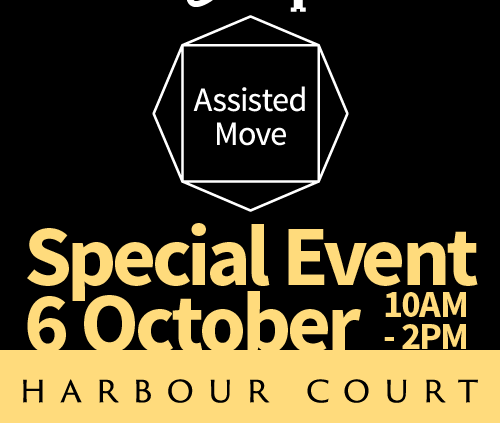 See Harbour Court for more information. Harbour Court, Sherborne is a stunning collection of three bedroom homes and a handful of luxury apartments. https://www.strongvox.co.uk/wp-content/uploads/2018/04/2998_17-Sherbourne_Street-Scene-2_HR-web1920.jpg 1152 1920 svadmin https://www.strongvox.co.uk/wp-content/uploads/2018/03/strongvox-logo-wt-homes-1771.png svadmin2018-04-13 10:22:392018-04-30 16:27:35Homes now released in Sherborne! New homes coming to Sandford! We’re delighted to have been granted planning for our new development in Sandford, North Somerset. https://www.strongvox.co.uk/wp-content/uploads/2018/03/sandford-site-plan-illustration1-1.jpg 1617 1920 svadmin https://www.strongvox.co.uk/wp-content/uploads/2018/03/strongvox-logo-wt-homes-1771.png svadmin2018-03-19 11:05:362018-04-30 16:21:12New homes coming to Sandford! Exciting plans to build 250 homes a year! Exciting plans to build 250 homes a year after finalising a £20m finance deal with NatWest. https://www.strongvox.co.uk/wp-content/uploads/2018/04/toby-headshot-natwest.jpg 864 1033 svadmin https://www.strongvox.co.uk/wp-content/uploads/2018/03/strongvox-logo-wt-homes-1771.png svadmin2018-01-30 11:03:042018-05-02 11:54:51Exciting plans to build 250 homes a year!